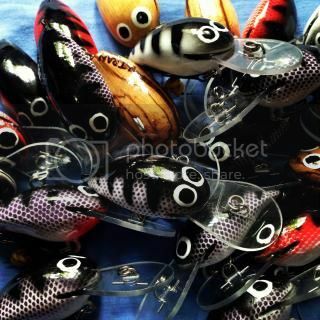 I was delighted to receive a parcel from Bryan yesterday and finally add one of his beautiful lures to my collection. 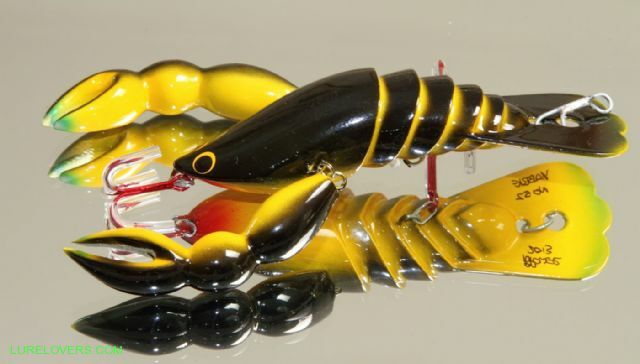 For some time now I've admired his creative skills and, fortunately for me, think that this particular Yabbie is one of his best to date. I've nicknamed him "Popeye" as I think that he has a very strong and powerful presence. Just check out those claws. The carving skills, attention to detail and paintwork are simply amazing. 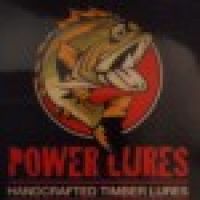 That is really a peice of all the nice things, you can say about a very good and creative Lure maker. Thanks Col, i`m glad you like it, first one wiht claws like that, cheers Bryan. Look's pretty good Padgey, Can you make me a couple when you get time? I'd love to give a Redclaw version a crack on the Barra. One of the highlights of visiting the Lure Expo at the weekend was to acquire another of Bryan's fabulous Yabbies to add to my collection. The only difficult part was trying to decide which one of his beauties on show that I liked best - they all looked so good. "No 52" painted in striking black and yellow was the eventual decision and I couldn't be happier. Brian makes some great lures and is a top bloke as well! Absolutely sensational. Top shelf, from Bryan. Looks like he needs to find a hobby, to take his mind off 'work' . There's a lot of work, and skill, gone into carving that lure.